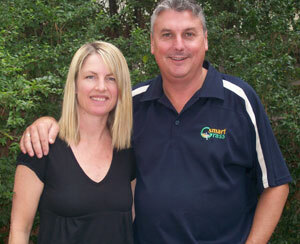 With at least 20 years experience in the garden supply and landscaping business, it was a natural progression for Carolyn & Richie Miles to expand into artificial lawns as well. The family owned & operated business has been at the same location in Surrey Hills for 15 years, they currently have over 25 employees and have become well established in the trade. 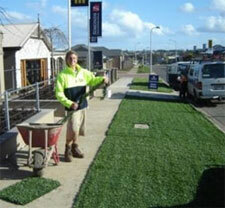 After seeing the effect of the drought all across Melbourne, and extensive investigation, they decided SmartGrass was the product of the future. Being wholly Australian owned and manufactured, the quality of SmartGrass was, above all, the most important factor in their decision. 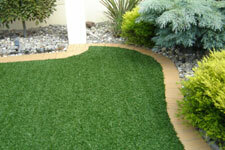 With water conservation being a priority and the natural look of SmartGrass, the decision was easy. Wherever SmartGrass is installed, customer satisfaction is our ultimate goal; therefore, we believe that you will be extremely happy with the results of your wonderful investment. To be a leading provider in our territory of ethical, professional and cost efficient services for our principals and to exceed the expectation of their customers at all times.